No one wants to actually retire their summer wardrobe once the cooler weather arrives – after all, that means sorting it, packing it away, re-washing it when spring arrives etc. - which is why it pays to stretch it into the later seasons. Unsure how to go about doing this? It’s all about using that summer wardrobe as a base, then adding some key autumnal elements to easily transition into the new season. Check out this quick guide on how to change your summer wardrobe and make it more autumn appropriate. Take any summer dress or bodycon skirt and instantly make it warm enough for those cooler autumn evenings with a pair of thick tights. Opt for simple black or be a little adventurous with easy to wear shades such as burgundy or navy. Woolen tights will take you through from September to March but thinner styles work great if you’re pulling out the boots and cardis. Ankle boots add a little extra warmth but they’re not too overbearing and look great with everything from your everyday office looks to those going ‘out out’ ensembles featuring a little black dress and leather jacket. Leather pixie boots are easy to wear with everything, black leather is a good all-rounder but you could also dress things up a little with tan suede. Tonal dressing is going to be big this autumn season, and that means wearing a look that is head-to-toe mix and matched pieces of a similar shade. Red is a popular choice for the months ahead but you can easily take strong summer colours – think a bold orange mini dress and add a peach shade cardigan, suede ankle boots and throw in some black tights to break things up. Playsuits are something you no doubt have a few of to wear throughout the summer months and they can work for autumn too. Whether you’re wearing a plain, full length style for work or a fun shorter length design for a night out, finish things off with a bomber jacket. 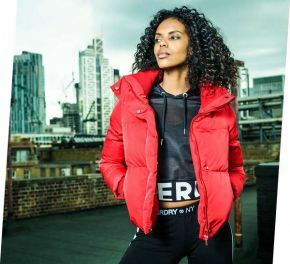 This season quilted bombers add a little luxe to your look – pick one of these up from the likes of Superdry who offer a range of shades to suit every style. Got a crop top you just don’t want to give up yet? It’s easy to keep those summer vibes going amidst autumn wardrobe pieces. Wear yours with a pair of long length denim dungarees, throw on those ankle boots again and pick up a thick knitted cardigan. It’s a strong outfit, perfect for coffee shop catch ups with friends or nailing laid back vibes on a Friday in the office. Cardigans are definitely going to be well loved this autumn season, so copy your grandma and grab a few knitted throw-ons to have around. You can easily stay cosy with a cardigan over the top of a summery graphic tee and leather skirt combo - don’t forget the ankle boots and if it’s a particularly cool day a chunky scarf and beanie are the perfect finishers. Harem trousers are a summer staple - both cool and functional, they just work. But don’t pack them away anytime soon. Pair yours with low rise canvas trainers, then add a pull over jumper. Cosy knits make for easy autumnal style and the popular seasonal colours – such as moss green and mustard yellow – work with this style. Harem trousers usually feature strong prints too, so it’s up to you whether you want to stick with a plain pair or really make a statement with your outfit. This summer we’ve loved woven baskets and beach bags that have been adopted for everyday looks – or because you’re too lazy to swap your purse back into your regular handbag. But just because autumn arrives, don’t retire your basket style beach bag just yet. One of these still works even with a classic black skinnies, ankle boots and cardigan combo - just mix up your sarong tied to the handle for a neck scarf that you can take off, when you’re heading out or keep it on there as an accessory. Ready to keep the summer pieces going? Try on some of these tips for size and make the autumn transition an easy one.